These amazing people ensure your little ones and not so little ones are happy and safe whilst they are with us. The support team is an often overlooked part of veterinary practice. While they aren’t often front-facing and many of our clients may not meet them all, they are vital for providing the highest level of care. They are all selected for the dedication to animals as well as their technical skills. Nurses are being scorned for being late with medicine, and yet they are holding their bladder because they don’t have time to use the restroom, and starving because they missed lunch. They’re being peed on, puked on, pooped on, bled on, bitten, hit, yelled at and are missing their family while taking care of yours. They may even be crying for you. The minute you read this, nurses all over the world are saving lives. Having over 10 years of experience as a Certified Veterinary Nurse, our head nurse, Rechainne brings not only technical and practical knowledge but also compassion to our clinic. Reichainne’s favourite part of her role is managing the pre and post anaesthetic plans of our surgical patients to make sure they have the most smooth recovery possible. Rechainne has 3 cats who she waits on hand and foot. Amanda (“Mandy”) joined the Southern Cross Family late 2014 as a volunteer kennel hand and worked her way up to one of the nurses. She’s always had a passion for animals and knew from a young age that this was an industry she wanted to get into. 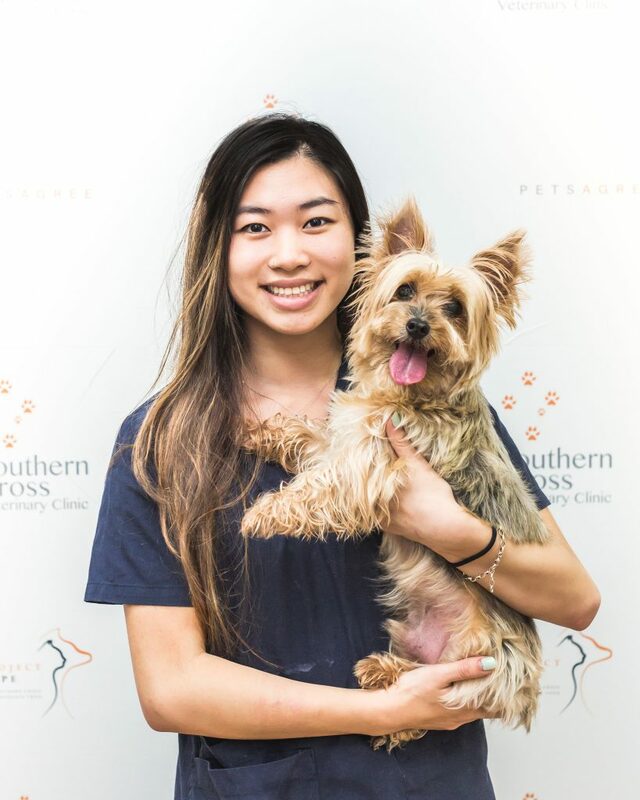 Although she is often called the Golden Girl for her love of Golden Retrievers, she loves all the pets brought into the clinic and treats them like her own. She has a Certificate III in Animal Studies and recently completed her Certificate IV in Veterinary Nursing. She won’t stop there though and is always looking for the next course to do. Cindy is a recent vet nurse graduate who has shone in her ability to channel her caring and nurturing nature into treating sick or neglected animals. Her grandfather’s work as a veterinarian in Vietnam inspired her to chase a career in animal health. Cindy loves to take her rescue dog, Mieka, to the beach and has two cockatiels, George and Pete. Natasha is our weekend nurse who is currently studying at the University of Sydney. She enjoys hiking and camping in the Australian bush and loves her rescue cat, Bailey. Natasha believes the nurses here at southern cross vet uphold their responsibility of being strong advocates for their patients. 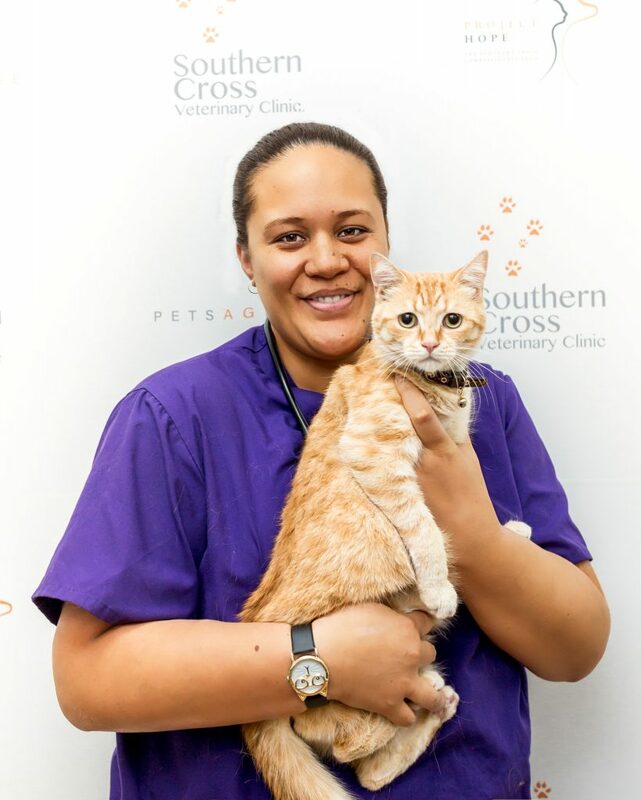 For this reason, Natasha enjoys working at the Southern Cross Vet because she is part of a team which is dedicated to providing the best care for our furry friends. 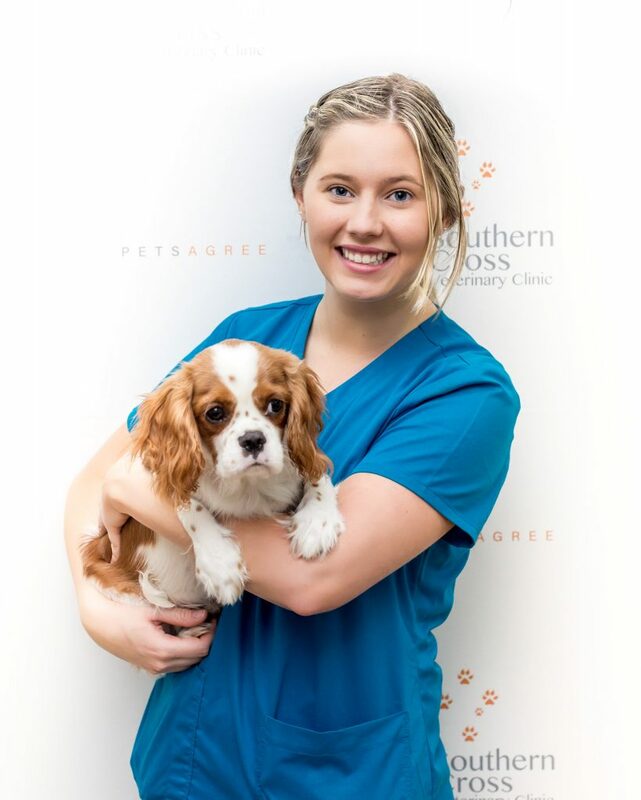 Maija joined the Southern Cross team in late 2017 as a volunteer and was soon hired as a vet nurse. Maija had dreamed of becoming a vet nurse from an early age because of her love for all animals. Maija is dedicated to treating all patients with love and care as if they were her own, she believes that treating her patients with love is just as important as the medical side. In her spare time, you can find her with Rex her dog, ice skating or reading.